iRealHousewives | The 411 On American + International Real Housewives: Lisa Rinna Reveals She Turned Down Celebrity Big Brother And Shares New Details About RHOBH Season 9! Lisa Rinna Reveals She Turned Down Celebrity Big Brother And Shares New Details About RHOBH Season 9! 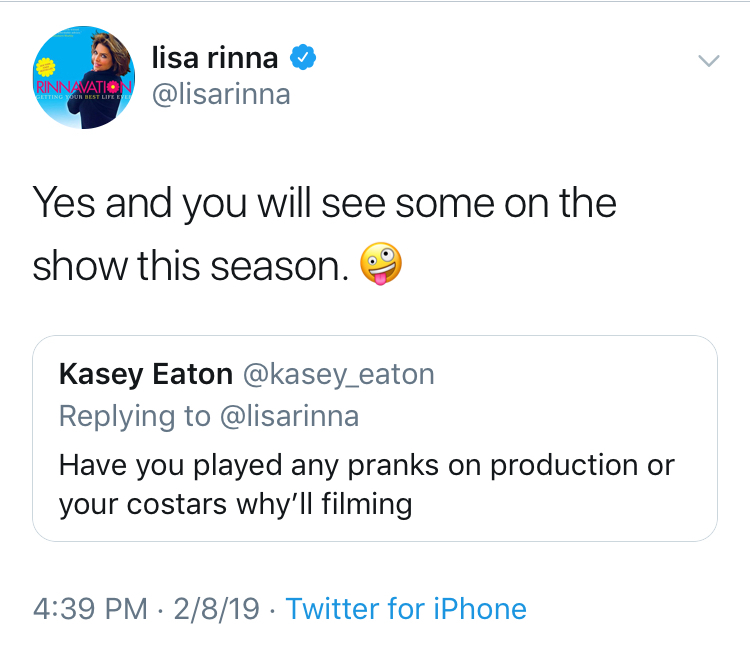 Over the weekend, Lisa Rinna shared new details about the upcoming ninth season of The Real Housewives of Beverly Hills during a Twitter Q&A session. The actress turned reality star also revealed that she was asked to be on Celebrity Big Brother, but she turned down the offer. 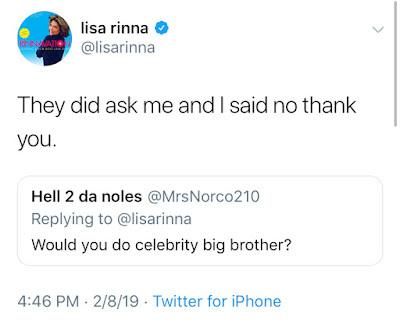 "They did ask me and I said no thank you," said Rinna when asked if she would ever consider doing Celebrity Big Brother. 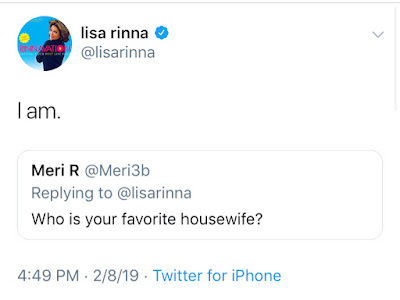 When asked who is your favorite housewife, Rinna replies; "I am." 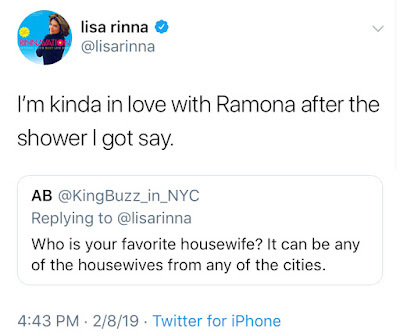 Rinna admits that her favorite housewife from another city is Ramona Singer, from The Real Housewives of New York City following Andy Cohen's infamous baby shower. When asked if she has ever played any pranks on production or at her co-stars while filming, Rinna said; "Yes and you will see some on the show this season." Rinna also teased fans if she will be a pot stirrer this season by saying; "Maybe, Maybe not." Despite the drama in the upcoming season, Rinna makes it clear that there will not be no physical violence on the show. "No physical touching, no."